SBE 11plus V2 Deck Unit includes RS-232 and IEEE-488 computer interfaces, a modem channel for real-time water sampler control (including water sampler control push buttons and status lights), NMEA 0183 interface for adding GPS position to CTD data, 12-bit A/D input channel for surface PAR sensor, switch-selectable 115/230 VAC operation, audio tape interface (data backup), LED readout for raw data, and audible bottom contact (or altimeter) alarm. The SBE 36 Deck Unit provides surface power and real-time data acquisition and control for an SBE 19, 19plus, 19plus V2, 25, 25plus, or 49 CTD, or SBE 50 Pressure Sensor, interfacing with a Power and Data Interface Module (PDIM). 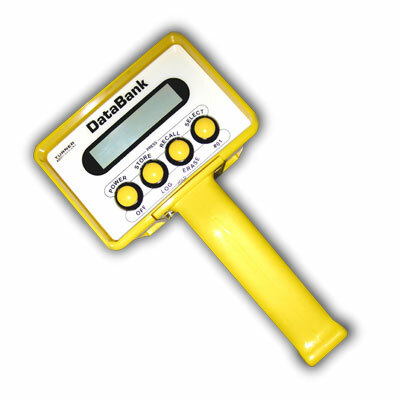 The DataBank™ is a universal meter, datalogger, and power supply which is easy to connect and use.